An elegant addition to McCalls' product line, Indulgence is a double-wick 18 oz. 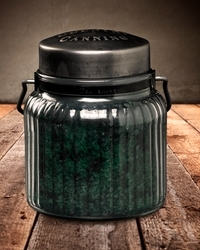 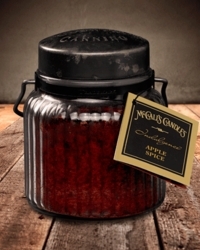 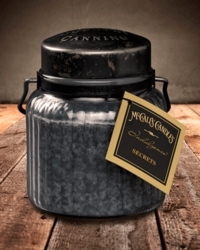 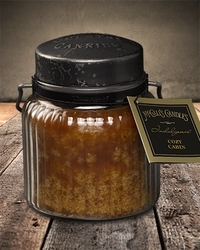 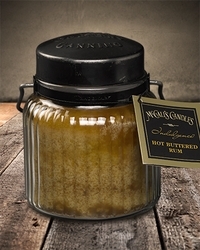 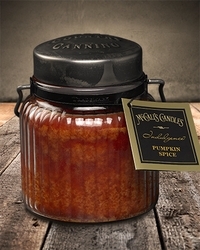 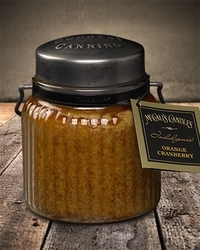 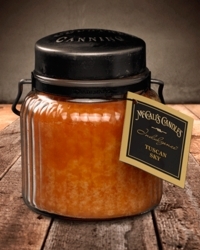 candle that offers the classic trademarked packaging of McCall's Candles' embossed metal lid, strap and handle in a decorative, non-labeled, grooved jar. 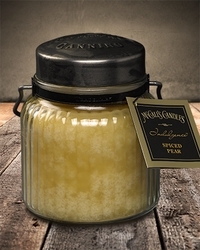 Using 2 smaller wicks, these candles provide the same long burn time, but with quicker pooling and more fragrance throw than a single wick candle. 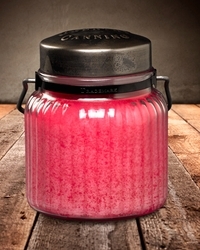 Creamy vanilla, frosted bergamot and pink poppies add a flirty, fresh layer to this already whimsical treat. 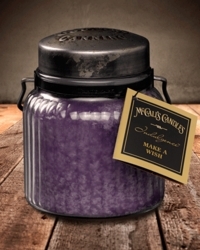 Dewy petals of jasmine, lily, and bellflowers mingle playfully with vanilla and sandalwood in this crisp air accord. 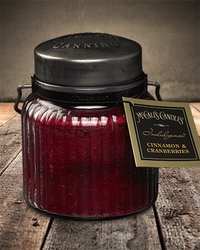 Valencia oranges, blackberries, and raspberries harmonize beautifully with pear blossom, creamy woods, and vanilla.